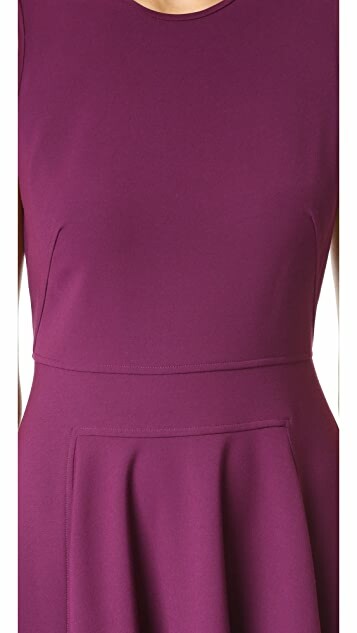 An elegant Rebecca Taylor dress with a swingy flared skirt. Sleeveless. Hidden back zip. Unlined. Shell: 57% viscose/36% nylon/7% elastane.